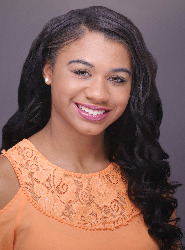 Distinguished Young Women of Delaware is part of a national scholarship program that promotes and rewards scholarship, leadership and talent in young women. College scholarships are awarded at the state level ($4950 last year) and millions in college-granted scholarships are available ($1 billion nationally). And one representative will advance to the national program in Mobile, Alabama where they give away over $100,000 in cash tuition scholarships. Sign-up Deadline: April 1, 2019!